Biological science is moving at an incredible pace. Only 100 years ago, Eli Metchnikoff set the direction of modern medicine by taking a simple tree thorn and applying it to a starfish. From this, he discovered phagocytosis, a central process in all diseases. Metchnikoff was ‘disruptive’ in his technology and thinking. Tony Sedgwick is a fifth-generation student of Metchnikoff and will discuss our recent advancement in disruption, looking at the evolution of Biotech and global ecosystems and how it translates into people. 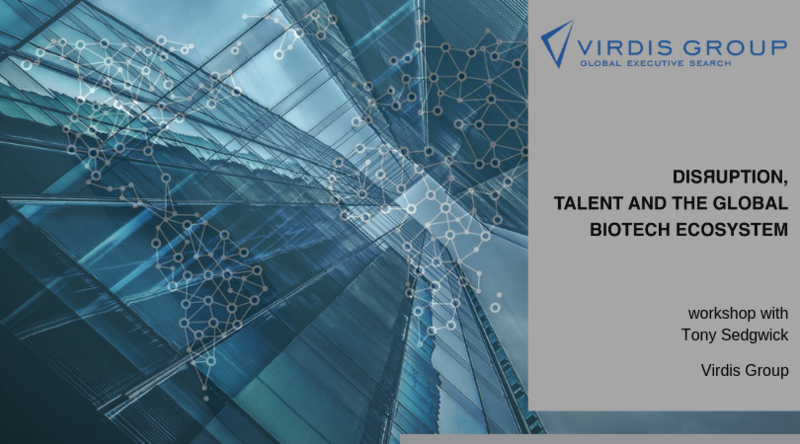 The aim of the workshop is to describe how disruptive talent is at the heart of biotech. Tony is an experienced entrepreneurial executive. He held various senior leadership positions in Research and Development, becoming World-Wide Head of Clinical Operations for Roche, where he built operations to more than 2000 people. Tony has been CEO of four biotechnology companies and chairman of many. Tony is a trained executive coach and believes our business is ‘down to people’. He has consulted on significant projects and organizational transformations for European pharma and biotech. Aperitif is offered but seats are limited; first come first served!